Marketing books can be difficult. And confusing. When I talk to brand-new writers who venture out into the marketing side of things, one of the first discussions we have is the difference between a fan and a follower. Take my blog for instance. I currently have 21,000 followers. Did I sell 21,000 copies of my latest release? No. Because not every follower of mine is here to buy my books. They are here for my writing tips, my publishing insight, and (hopefully) my cat photos. And guess what? I’m perfectly okay with that. There’s huge pressure to convert all your followers into fans, and I’m just not buying it. Don’t get me wrong. I would be ecstatic if 21,000 of you bought my book, but I also understand that my books aren’t for everyone. What if all 21,000 of you bought my book, but it was only written for 10,000 of you? Well, that’s 11,000 1-star reviews just based on the work being inappropriate for that audience. My ratings would tank. Not that ratings are everything—but I’d rather have those who are genuinely interested in my books try them out. Attracting the right audience for the right things is more important to me than tricking the wrong audiences into buying something they probably won’t enjoy. Granted, I get it. Sometimes it can hurt that thousands of people are following you for (insert # of reasons here) for years but won’t check out your books to show support, but, at the same time, aren’t they showing support by connecting with you? By cheering you up on Twitter? By reading your articles? By sharing your posts? By simply being there? Don’t let the marketing world convince you that your work is only worth what is bought. Your work connects you with others. It builds relationships. It allows you to reach out and be a part of the world. It gives you a way to express yourself. What matters most are those connections you’ve made—and you’ve made those by chasing what you love. Two free YA SFF books! What is a free reader? A reader who only reads free books. 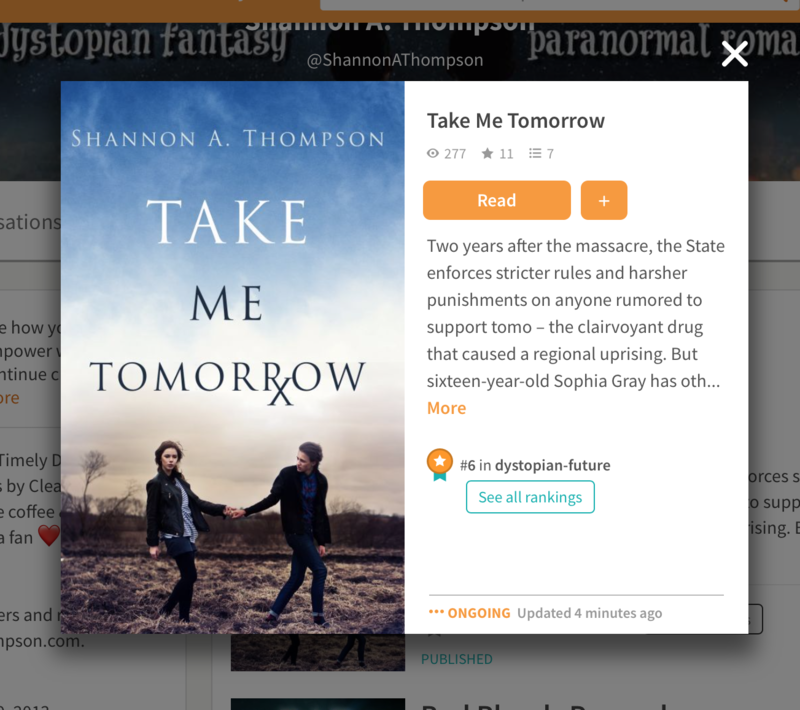 In a market where millions of books are listed as free across all platforms, free readers have become a common occurrence…and they’ve also caught a lot of flak. First, I want to clarify that I’m not talking about people who steal books by illegally downloading them or by using the five-finger discount at the store. I’m talking about readers who only read free books they legally received through Amazon, Barnes & Noble, Smashwords, NetGalley, publishers, etc. I think we can all agree that stealing is wrong. But if an author has books listed for free—a common marketing plan, especially in regards to series—I don’t think we should complain that some people are only reading free books. I say this from a platform with two of my five books currently listed as free. I also say this as someone who rarely reads free books nowadays. Since most free books are eBooks, and I have a hard time reading eBooks, I buy paperbacks from Barnes & Noble to read. But I don’t hate “free readers.” Instead, I love them. Why? Because I was one of them. In college, I couldn’t afford to do anything beyond buy my college textbooks, so I lived off of legally free entertainment, and most days, that art saved me. I raved about their work, I fell in love with their work, I followed them on social media, and complemented them, and told all my friends about them. Now that I have more money in my life, I spend my cash on their work. Today, maybe even as you’re reading this, there’s someone out there just like me, reading my free work, too, and I hope they are having a great day. A free book is a gift we choose to give. We cannot give a gift and expect something in return. That ruins the entire point of giving. Besides, libraries have allowed readers to rent books forever, but we only seem to debate the eBook 1-click download readers. As an author with free books, I’m happy when someone takes a chance on my work. I’m happy I might have a new fan. I’m happy my book is out there, and for all I know, that “free reader” could be saving every extra penny just so they can buy the next books ASAP. I can honestly say I’ve been contacted by a “free reader” who—after reading my entire trilogy through a giveaway—saved up enough money to not only buy paperbacks but asked if they could buy signed paperbacks from me. They chose to buy my books with their only birthday money. That “free reader” is now my friend. Of course, there are bad eggs. The ones who expect everything for free. The ones who leave bad reviews just because it isn’t free. The ones who send emails asking for free paperbacks. The ones who take hundreds of ARCs from book shows when you’re only supposed to take one. Of course there are readers who give a bad name to good readers. Of course there are. But I’m addressing the ones who follow the rules—when free isn’t all that bad. Why Pay For EBooks? was a popular article on Fussy Librarian, and I highly recommend the read. Three wonderful authors discuss how royalties affect their life, and it’s a side of publishing we often forget. I totally agree with all the points made, but we should keep the reader’s side in mind, too. Free readers are not our enemy; free readers are our friend. They are taking a chance on our work. They are sampling new authors and participating in discussions and leaving reviews and entering contests to share the next book, too. They are trying to support you in any way they can. How can we help authors if we cannot afford to buy books? 1. Don’t steal. Instead, get a library card, start a book blog, enter giveaways, and apply to publishers for ARC (advanced reader copies). If the book you want isn’t at the library, let the library know you want it! Talking to your librarian helps everyone. 2. Leave reviews! Whether it’s a helpful 1-star or a raving 5-star review, let people know what you think. Recommend the book to someone you know will enjoy it. 3. Contact the author. Tell them how much you loved their book. Ask them how you can help spread the word about their books. Maybe they have an upcoming release you can ask your librarians to get. Encouragement and support is priceless. My day is often made by a fan just stopping by to say hello. Authors are here to write, and authors should be paid, but personally, I’m happy if no one is stealing and readers are enjoying our work enough to share it with the world. There comes a time in every writer’s life when they realize they cannot write that book….and I’m not talking about writer’s block. I’m talking about when you want to write a book, but you know you shouldn’t. Maybe not yet. Maybe never. Of course, I’m not saying a writer CAN’T write that book. Not forever anyway. But just like a construction project, certain books require particular tools, and if you don’t have those tools, building anything might be for naught…or even dangerous. So here are three questions to ask yourself while deciding if you are ready to write that novel or not. 1. Have You Researched EVERYTHING Properly? This is particularly true in historical fiction, but research shouldn’t be overlooked for any type of fiction. This means you are researching your setting, your themes, and your characters thoroughly. If you are writing anything outside of your personal experiences—which is more likely than not—it’s best to read articles, watch documentaries, and even talk to those who do have those personal experiences you’re lacking. If you haven’t done this, you most likely don’t know enough to write about certain topics and people from a respectful and knowledgeable place. You might even add to damaging stereotypes or incorrect presumptions. Take the time to get to know your novel’s needs…as well as your audience’s. 2. Have You Read This Genre? You should be reading in and outside of any genre you want to write in, but you should definitely be familiar with trends in your market. Being able to recognize writers, publishers, and various novels is key to understanding your audience and what purpose your book serves. What does it add to the market? What does it give to your readers? If you’re unsure where your book would be on a shelf, you’re probably not ready yet. But don’t worry! All you have to do is read more. (And who doesn’t love reading?) I went through this myself recently. As someone who mainly reads and writes YA fantasy, I wanted to tackle a contemporary novel when I wasn’t fully equipped to do so. Though I read contemporary still, I knew almost immediately that I wasn’t familiar enough with the current shelf to proceed. I need to collect more tools. I need to read more. And I am. Who doesn’t love an extra excuse to read more? 3. Why Are YOU The Right Person to Write This Book? Listen, I’m not here to tell someone if they are the right person to write a book or not. That’s between the author, their book, and the creative process. But I honestly believe we can get to a moment where we realize a book—while it’s good—might be better for someone else to write. This is going to vary from person to person, and it ultimately weighs on how much you are willing to dedicate yourself to a story. If you’re hesitating to research, for instance, you’re probably the wrong person for that book. That doesn’t mean you can’t overcome obstacles or hurdles in your way, but it’s also okay to move on from something you realize isn’t right for you. If you’re on the fence—and you’re unsure how you’re feeling about this topic—one question you can ask yourself is WHY you’re even writing it. Seems obvious enough, but when you take a step back, you might see that you were, in fact, chasing a trend or a surface idea without the will to dive deeper. That’s okay. There are a million stories out there for you to write, and I’m sure you already have plenty more to chase. It’s a matter of figuring out which one feels right to you. When you should write a book, it will come to you. 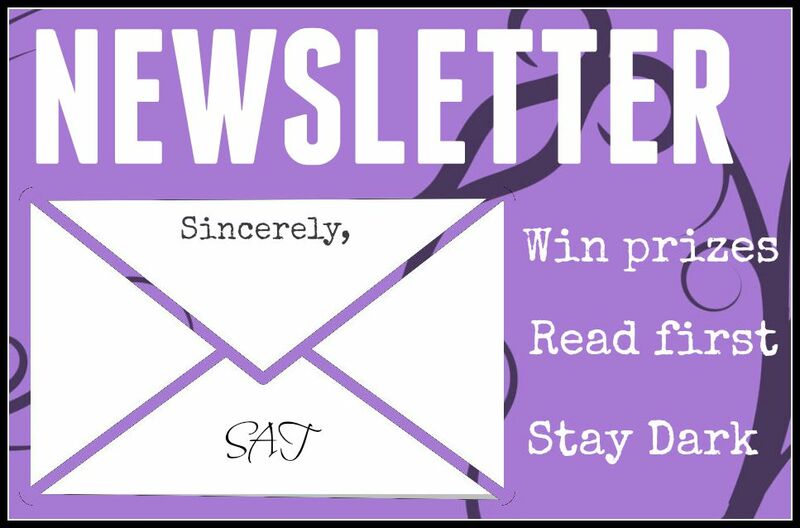 Read my latest interview on Crazy Beautiful Reads: “Every writer’s life is paved with rejections.” Comment for your chance to win some awesome books! It’s official! Author Natasha Hanova will be sharing a table with me at Penned Con in St. Louis this September! Check her out, say hi, tell her I sent you, and come visit us in September. We’ll be signing books, talking books, and just having a great ol’ time. 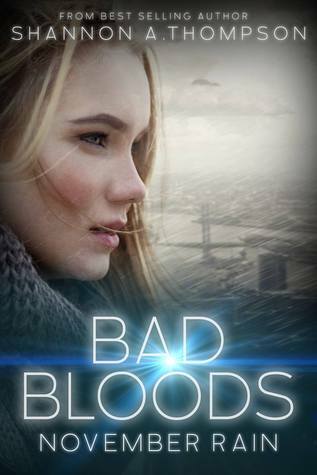 Bad Bloods: November Rain is FREE! I must clarify one thing before I start: I am not a book blogger, but I used to be—for about three years—and I still post book reviews on Facebook, Twitter, Goodreads, Amazon, Barnes & Noble, etc. I also help authors connect with book bloggers every day. I’m an author myself, after all. I know how important book reviews are, and because of this, I absolutely adore book bloggers. In a metaphorical publishing world, book bloggers are authors’ best friends, and readers who don’t blog are the friends authors meet at the book blogger’s party. The reason I’m writing this is to make that party as enjoyable as possible. Below, I have outlined some tips to help aspiring book bloggers get started with a website, as well as how to create a fun and safe environment for bloggers, readers, and authors. Pick out where you want to blog. Personally, I love WordPress, and it’s free! But you can also go to Blogger and many other places. Once you choose, consider the name of your blog carefully. It is your blog, of course, but try to avoid a name that contradicts the blog’s purpose. Ex: “Magical Book Reviews” when you don’t read novels with magical elements. This could cause a lot of confusion and frustration when it’s easily avoidable. If you can pick a name that sums up what types of books you plan on reviewing, even better. But once you have a name, name yourself by creating an About Me page. Have a name on your blog. It doesn’t have to be your REAL name, but readers like to be personal. We want you to know we truly enjoy your website, and using your name is one way we can prove we aren’t mass commenting or sending you spam messages. Knowing more about you also helps readers share your blog to others. For instance, if you’re a librarian, I will tell others to go check out an amazing reviewer who gets to work around books all day! YA books I’ve reviewed this summer that I totally recommend! This advice is for book bloggers who are looking for authors, publishers, and other people to submit novels. Be clear about what you want to read and what you never want to read. Include types of information you want in a request, like a link to Amazon or the synopsis. If you are closed for submissions, put that at the top in bold. This way, requesters don’t read pages of information only to realize you’re not accepting anything. Clarify if you accept self-published and small press published authors. I would also suggest adding if you reply to all requests or only the ones you’re interested in. That way, you won’t get as many repeat emails wondering if you received their request. You could also include your favorite and least favorite novels—and if you want to get really fancy, tell us your ratings of well-known novels. This will help start reading discussions with fellow readers of that genre. Clarify if you will use the 5-Star Rating System and/or explain how you rate on other pages. For instance, if you say 3.5 on your blog, explain what you’ll do on websites that aren’t accommodating to that (like if you will generally lean up or down or if it depends on the novel). Readers will want to know if, how, where, and when you will be posting reviews. This is also a GREAT opportunity to send your readers to your Bookstagram, Vlog, Goodreads page, or other places where you review books. On a side note, if you are accepting review requests, I would suggest stating if you will or will not post your review no matter the rating. Unfortunately, there has been hostility in the past with authors/publishers requesting readers to only post reviews if it is a certain rating. Although I don’t agree with anyone who demands this, I still suggest clarifying that you will post your review, even if it is below 5 stars. That way, they won’t demand it from you later or send you nasty emails when it happens. By posting your rules, you lessen your changes of internet negativity. Remember that book bloggers are your best friend. Respecting boundaries is important. Don’t request a review from someone until you have read their review policy, and definitely do not contact them with your dinosaur erotica if they state they hate dinosaurs or erotica or both (even if you think you will somehow change their mind). If you receive a poor review, do not retaliate in any way. If you’re going to say anything at all, just thank them. They read your book, after all. If you promised to share their review, share it. If they promised to review a book but never did, be polite when asking them if they are still interested in reading your novel. Sometimes, expectations fall flat, but surprises are sometimes better. Helping one another know what to do in certain situations can improve everyone’s relationship, but it does take two. Taking these steps might help our friendship grow more than ever before. We want the author-reader relationship to be fun and exciting, so let’s be sure to celebrate one another with respect and enthusiasm. Here’s to our love for books. On a side note, my YouTube channel – Coffee & Cats – is back! This month, I discussed Female Romantic Tropes…We Hate, and next month, I’ll discuss Male Romantic Tropes…We Hate. Granted, these tropes work for both genders, but I separated them due to how much each trope happens to that specific gender. I hope you like it! And, of course, let me know what tropes you don’t like, so we can continue to change fiction! 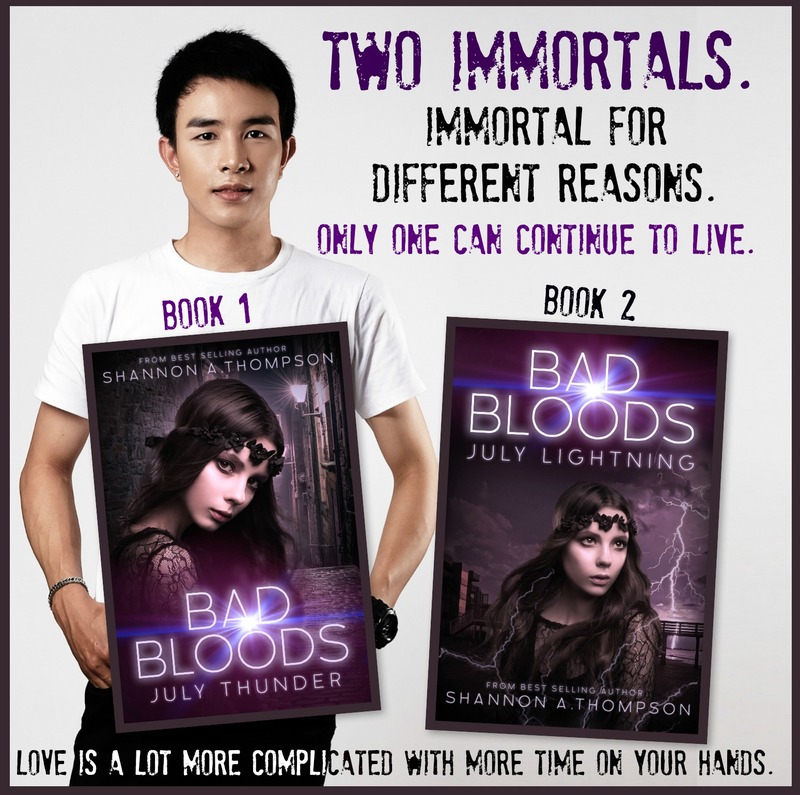 We’re less than a month away from the Bad Bloods book release!